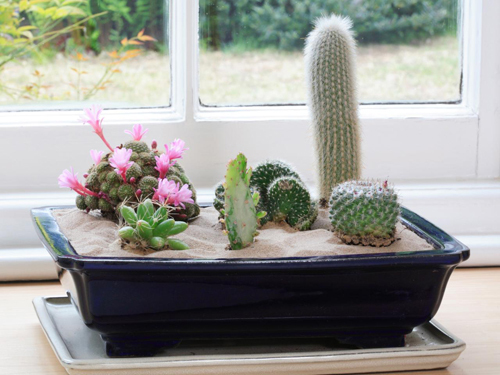 Everyone thinks caring for potted cactus indoors is easy to do. Basically that is true but it you want to make sure that they look as good as the day you purchased them, then you need to follow a few simple rules. Watering - you probably think that since potted cacti is from the desert all you need to do is water once a week and it will be fine. 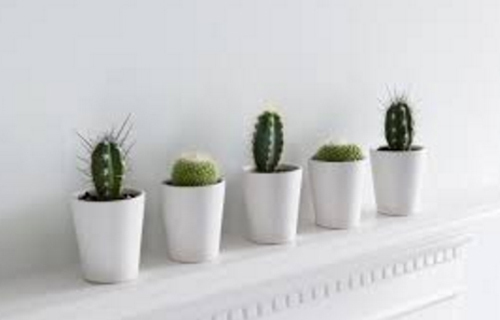 But, what you may not know is that it's better to water your potted cactus every 3 to 5 weeks. They grow best when allowed to fully dry out between watering. During the summer while growing it's best to water every 3 weeks. In the winter when dormant go every 5 weeks. We know it sounds horrific but trust us it works. Sunlight - Well of course they love full direct sunlight. 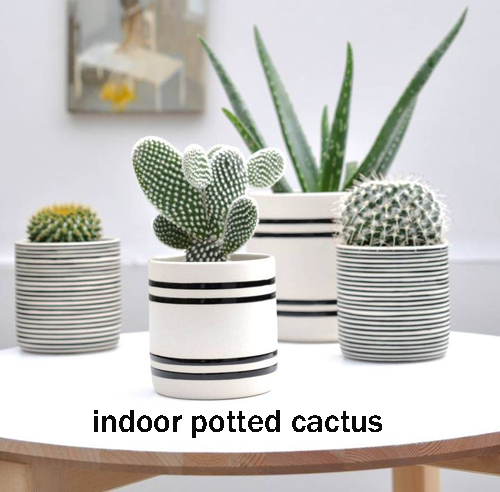 A potted cactus can vary depending on the type of cacti but generally this is tried and true. If a cactus is turning yellow, or brown that means too much sun. If it is reaching out towards the sun then that means too little. 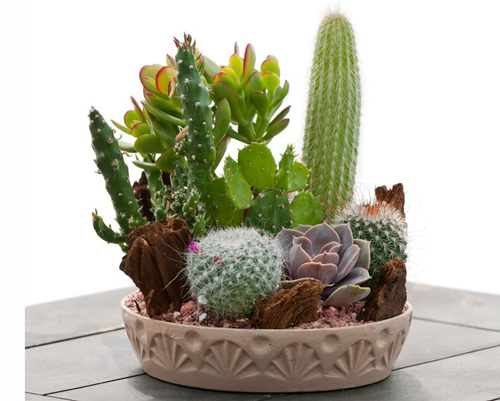 Potting soil - Shop your local nursery for the best soil for a cactus in a flowerpot. They look loose soil that is fast draining. If you can't find it then mix some perlite into your soil so that it is not compact. 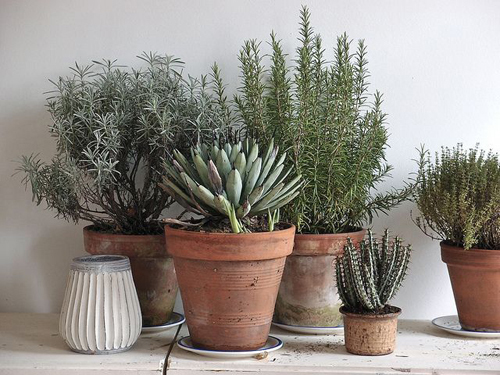 Containers - As you already know you don't need a deep container for a potted cactus. The root system is very shallow so a garden bowl or bonsai pot will work perfectly. Now that doesn't mean you can't go with a bit of style and use any size you wish. It just means you DON'T have to. See now that doesn't sound so hard and is basically pretty simple. Pay attention to your area and where you have placed the potted cactus. You may need to experiment a bit on different locations but once you find the perfect spot your cactus will let you know. potted cactus, cactus in containers, potted container of cactus, terra cotta pots of cactus, cactus in pots.